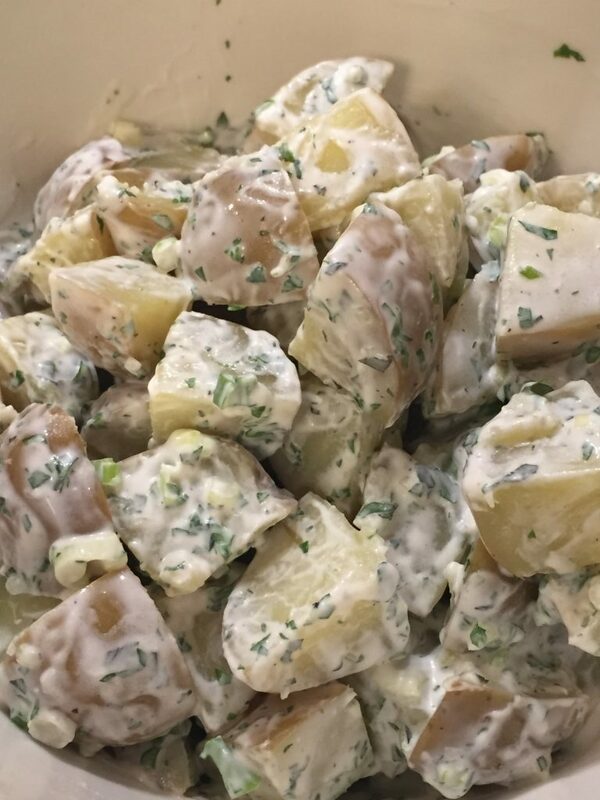 Good potato salad is a staple for summer time eating. It goes well with everything from chicken to ribs to chops to burger, well pretty much all of it. However, it can be heavy and glupy and overbearing on a plate. 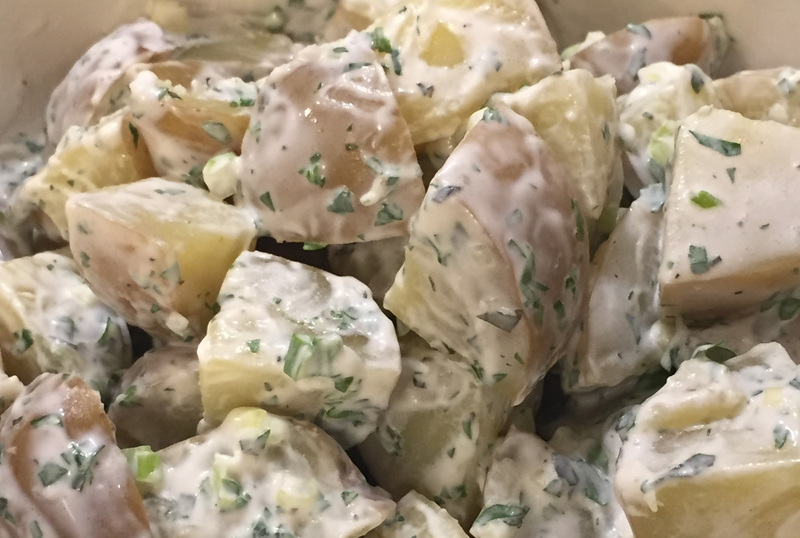 We love potato salad but I wanted it fresh and light and super easy so I could make it quickly on a week night. This has been kid tested and approved by my eaters. Enjoy! In a large pot, cover cut potatoes with water so there is about an inch of water above the level of the potatoes. Add a pinch of salt and cover the pot and bring it to a boil on high heat. Once it boils, move lid to allow some steam to escape but don’t fully uncover the pot. Stir them occasionally. They will take between 8 to 12 minutes to cook. Test with a paring knife. When they easily split they are ready – don’t overcook them or the skins will start to peel off. Once cooked, pour them into a colander to drain, gently rinse with cold water to cool them. Once they are cool, place them in a large serving bowl with the chopped green onions. In a large measuring cup add the mayonnaise, yogurt, red wine vinegar, parsley, winter savory and salt and pepper to taste. Mix well with a whisk. Add the dressing to the potatoes and green onions. Cover and refrigerate until ready to serve.